It is our goal to provide our international students with the accommodation they need to succeed. While classroom instruction is a pillar of our teaching methodology, we also strongly vouch for the notion of cultural immersion as being integral in the process of learning a new language. Our accommodation options strive to promote that dichotomy: Homestay, Private Residence, College Campus. At GEOS Languages Plus New York, we believe students are more likely to succeed when they feel comfortable in their immediate surroundings. The majority of our students live with host families that are extremely welcoming, encouraging and accommodating. Prior to enlisting in our homestay program, each family goes through a rigorous screening process and is evaluated in a variety of categories. It is our mission to ensure our students are living in safe areas, in clean homes or apartments with thoughtful and understanding families. Living with a New York host family is a once-in-a-lifetime experience, a window into the local culture, and an extension beyond the GEOS classroom walls, in which the student experiences day-to-day life with typical Americans. 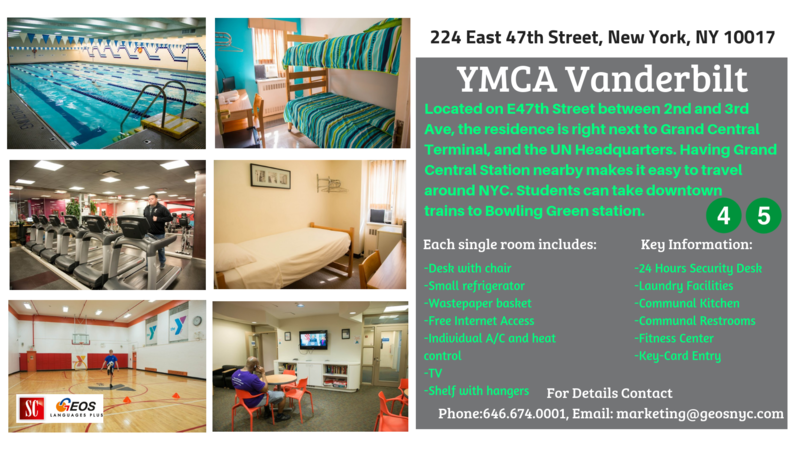 The experience that will help shape your entire stay in New York! 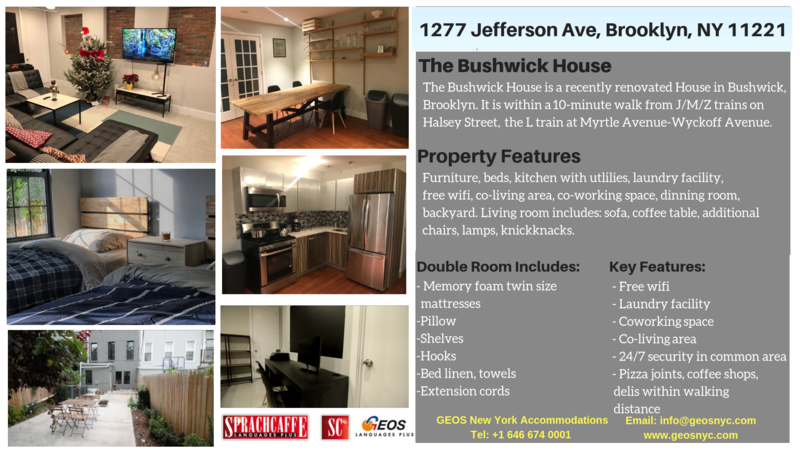 GEOS also offers rooms within an international student residence in the New York area. The residence offers modern amenities such as activity rooms, a fitness center, and laundry facilities all on-site. Many residences offer complementary activities that allow students to meet one another. Students who choose this option prefer more independence, but have a high level of security. 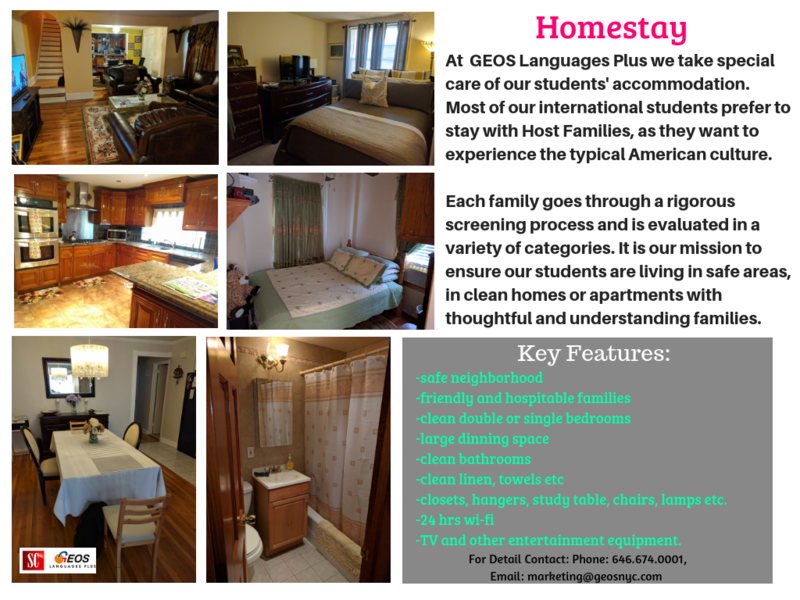 GEOS offers College campus accommodation to students during summer months. College campus is equipped with modern facilities, such as gymnasium, swimming pool, 24-hour internet access, cafeteria, laundry area, library, 24/7 Security Desk, and many more. 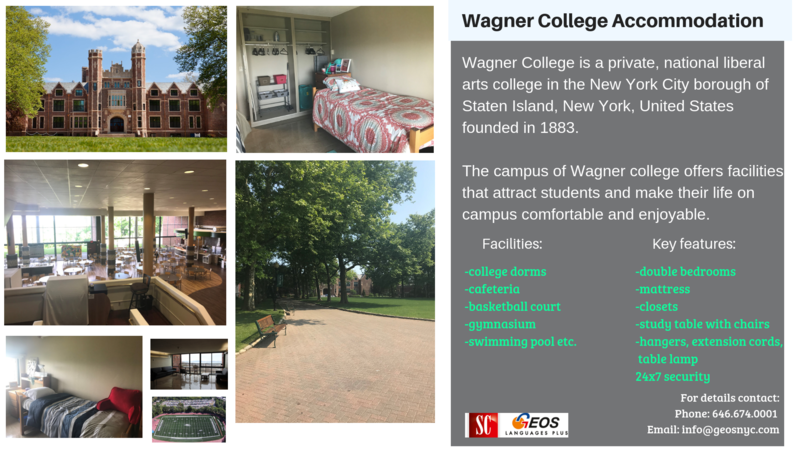 Staying on College campus is definitely a life-changing experience and immersion into American College life! *Accommodation Placement Fee is non-refundable if accommodation is confirmed.